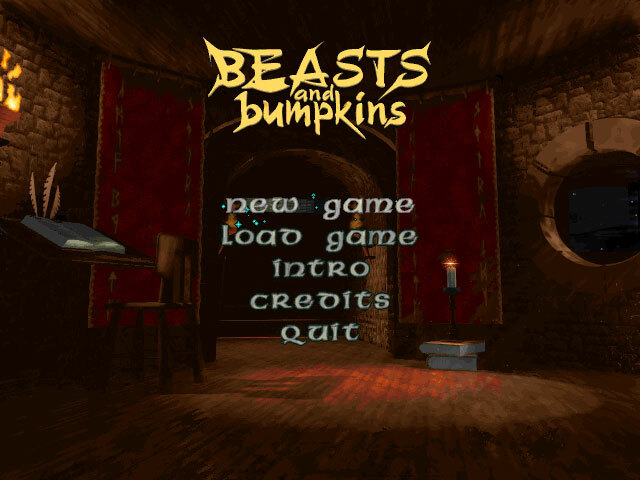 Beasts and Bumpkins is a single player real-time strategy video game. 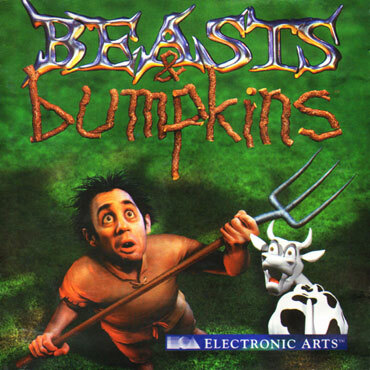 It was developed by Worldweaver Ltd and published by Electronic Arts in 1997 and is available for the Windows platform. In the game's storyline, the player was exiled by the king. They begin with limited resources and a few peasants to control. After building an empire and increasing their resources, the player can challenge Dark Lord Sabellian, who attacks the surrounding area. The game is a standard isometric 'god' style game. The player's goal is to complete one or more specific tasks on each level. This can be to collect a certain item, to kill a certain enemy or village, earn a certain amount of gold or survive for a specific duration of time. In each level the player will have to build up their village and grow the economy and population. This involves using villagers to construct buildings and creating a village where they can reproduce. 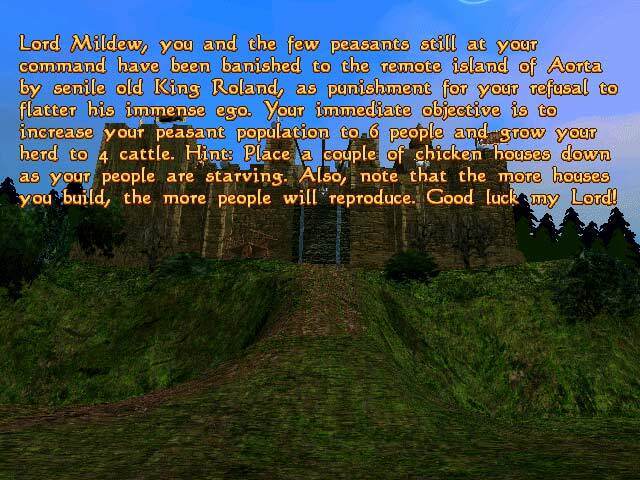 The player must provide a sufficient number of houses and resources before villagers will take it upon themselves to reproduce and create more units. There are specific levels where you already have a specific village and unit count to start with and are given the specific tasks such as protecting it for a set amount of time as waves of enemies close in on the village or defeating an enemy village before time runs out.